Dr. Michael Berry is a Professor of Health and Exercise Science. Dr. Berry completed his undergraduate degree at Jacksonville State University in Alabama, his master's degree at Southeast Louisiana University, and his Ph.D. from Texas A&M University. 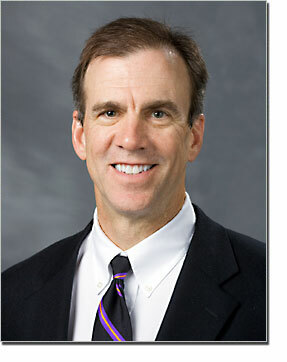 Prior to coming to Wake Forest in 1985, Dr. Berry completed post-doctoral training at the University of North Carolina. In addition to serving as chair, he teaches a statistics class at the graduate level and human physiology at the undergraduate level. Dr. Berry's early research interest was in the control of respiration during exercise which eventually led to his interest in the role exercise plays in the rehabilitation of those with lung disease. Dr. Berry was the principal investigator on the two large randomized clinical trials funded by the National Heart, Lung, and Blood Institute that investigated how exercise can be used to improve physical and cognitive function in patients with chronic obstructive pulmonary disease (COPD) and how best to promote regular physical activity in these patients. More recently, Dr. Berry's research has centered around improving function in intensive care unit patients with acute respiratory failure and the role that dietary nitrates play in improving function in pulmonary disease patients. 1: Morris PE, Berry MJ, Files DC, Thompson JC, Hauser J, Flores L, Dhar S, Chmelo E, Lovato J, Case LD, save the Bakhru RN, Sarwal A, Parry SM, Campbell P, Mote A, Winkelman C, Hite RD, Nicklas B, Chatterjee A, Young MP. StandardizedRehabilitation and Hospital Length of Stay Among Patients With Acute Respiratory Failure: A Randomized Clinical Trial. JAMA. 2016 Jun 28;315(24):2694-702. doi:10.1001/jama.2016.7201. PubMed PMID: 27367766. 2: Sarwal A, Parry SM, Berry MJ, Hsu FC, Lewis MT, Justus NW, Morris PE, DenehyL, Berney S, Dhar S, Cartwright MS. Interobserver Reliability of Quantitative Muscle Sonographic Analysis in the Critically Ill Population. J Ultrasound Med. 2015 Jul;34(7):1191-200. doi: 10.7863/ultra.34.7.1191. PubMed PMID: 26112621. 3: Berry MJ, Justus NW, Hauser JI, Case AH, Helms CC, Basu S, Rogers Z, Lewis MT, Miller GD. Dietary nitrate supplementation improves exercise performance and decreases blood pressure in COPD patients. Nitric Oxide. 2015 Aug 1;48:22-30. doi: 10.1016/j.niox.2014.10.007. Epub 2014 Oct 27. PubMed PMID: 25445634; PubMed Central PMCID: PMC4411191. 4: Berry MJ, Rejeski WJ, Miller ME, Adair NE, Lang W, Foy CG, Katula JA. A lifestyle activity intervention in patients with chronic obstructive pulmonary disease. Respir Med. 2010 Jun;104(6):829-39. doi: 10.1016/j.rmed.2010.02.015. Epub 2010 Mar 26. PubMed PMID: 20347286; PubMed Central PMCID: PMC2875358. 5: Nicklas BJ, Wang X, You T, Lyles MF, Demons J, Easter L, Berry MJ, Lenchik L, Carr JJ. Effect of exercise intensity on abdominal fat loss during calorie restriction in overweight and obese postmenopausal women: a randomized, controlled trial. Am J Clin Nutr. 2009 Apr;89(4):1043-52. doi:10.3945/ajcn.2008.26938. Epub 2009 Feb 11. PubMed PMID: 19211823; PubMed Central PMCID: PMC2667455. 6: Brinkley TE, Leng X, Miller ME, Kitzman DW, Pahor M, Berry MJ, Marsh AP, Kritchevsky SB, Nicklas BJ. Chronic inflammation is associated with low physical function in older adults across multiple comorbidities. J Gerontol A Biol Sci Med Sci. 2009 Apr;64(4):455-61. doi: 10.1093/gerona/gln038. Epub 2009 Feb 4. PubMed PMID: 19196644; PubMed Central PMCID: PMC2657165. 7: Wang X, Lyles MF, You T, Berry MJ, Rejeski WJ, Nicklas BJ. Weight regain is related to decreases in physical activity during weight loss. Med Sci Sports Exerc. 2008 Oct;40(10):1781-8. doi: 10.1249/MSS.0b013e31817d8176. PubMed PMID: 18799988; PubMed Central PMCID: PMC2797708. 8: Berry MJ. The relationship between exercise tolerance and other outcomes in COPD. COPD. 2007 Sep;4(3):205-16. Review. PubMed PMID: 17729064. 9: Berry MJ, Adair NE, Rejeski WJ. Use of peak oxygen consumption in predicting physical function and quality of life in COPD patients. Chest. 2006 Jun;129(6):1516-22. PubMed PMID: 16778269. 10: Foy CG, Wickley KL, Adair N, Lang W, Miller ME, Rejeski WJ, Woodard CM, Berry MJ. The Reconditioning Exercise and Chronic Obstructive Pulmonary Disease Trial II (REACT II): rationale and study design for a clinical trial of physical activity among individuals with chronic obstructive pulmonary disease. Contemp Clin Trials. 2006 Apr;27(2):135-46. Epub 2006 Feb 2. PubMed PMID: 16458075. 11: Katula JA, Rejeski WJ, Wickley KL, Berry MJ. Perceived difficulty, importance, and satisfaction with physical function in COPD patients. Health Qual Life Outcomes. 2004 Mar 31;2:18. PubMed PMID: 15056389; PubMed Central PMCID: PMC420256. 12: Berry MJ, Rejeski WJ, Adair NE, Ettinger WH Jr, Zaccaro DJ, Sevick MA. A randomized, controlled trial comparing long-term and short-term exercise in patients with chronic obstructive pulmonary disease. J Cardiopulm Rehabil. 2003 Jan-Feb;23(1):60- 8. PubMed PMID: 12576914. 13: Dobrosielski DA, Brubaker PH, Berry MJ, Ayabe M, Miller HS. The metabolic demand of golf in patients with heart disease and in healthy adults. J Cardiopulm Rehabil. 2002 Mar-Apr;22(2):96-104. PubMed PMID: 11984207. 14: Etnier JL, Berry M. Fluid intelligence in an older COPD sample after short- or long-term exercise. Med Sci Sports Exerc. 2001 Oct;33(10):1620-8. PubMed PMID: 11581543. 15: Woodard CM, Berry MJ. Enhancing adherence to prescribed exercise: structured behavioral interventions in clinical exercise programs. J Cardiopulm Rehabil. 2001 Jul-Aug;21(4):201- 9. Review. PubMed PMID: 11508179. 16: Foy CG, Rejeski WJ, Berry MJ, Zaccaro D, Woodard CM. Gender moderates the effects of exercise therapy on health-related quality of life among COPD patients. Chest. 2001 Jan;119(1):70-6. PubMed PMID: 11157586. 17: Berry MJ, Koves TR, Benedetto JJ. The influence of speed, grade and mass during simulated off road bicycling. Appl Ergon. 2000 Oct;31(5):531-6. PubMed PMID: 11059467. 18: Duren-Winfield V, Berry MJ, Jones SA, Clark DH, Sevick MA. Cost-effectiveness analysis methods for the REACT Study. West J Nurs Res. 2000 Jun;22(4):460-74. PubMed PMID: 10826254. 19: Simmons DN, Berry MJ, Hayes SI, Walschlager SA. The relationship between %HRpeak and %VO2peak in patients with chronic obstructive pulmonary disease. Med Sci Sports Exerc. 2000 May;32(5):881-6. PubMed PMID: 10795775. 20: Rejeski WJ, Foley KO, Woodard CM, Zaccaro DJ, Berry MJ. Evaluating and understanding performance testing in COPD patients. J Cardiopulm Rehabil. 2000 Mar-Apr;20(2):79- 88. PubMed PMID: 10763155. 21: Etnier J, Johnston R, Dagenbach D, Pollard RJ, Rejeski WJ, Berry M. The relationships among pulmonary function, aerobic fitness, and cognitive functioning in older COPD patients. Chest. 1999 Oct;116(4):953-60. PubMed PMID: 10531159. 22: Berry MJ, Rejeski WJ, Adair NE, Zaccaro D. Exercise rehabilitation and chronic obstructive pulmonary disease stage. Am J Respir Crit Care Med. 1999 Oct;160(4):1248-53. PubMed PMID: 10508815. 23: Berry MJ, Walschlager SA. Exercise training and chronic obstructive pulmonary disease: past and future research directions. J Cardiopulm Rehabil. 1998 May-Jun;18(3):181- 91. Review. PubMed PMID: 9632319. 24: Brubaker PH, Brozena SC, Morley DL, Walter JD, Berry MJ. Exercise-induced ventilatory abnormalities in orthotopic heart transplant patients. J Heart Lung Transplant. 1997 Oct;16(10):1011-7. PubMed PMID: 9361243. 25: Foley KO, Brubaker PH, Matrazzo B, Berry MJ, Pribanich S, Miller HS. Effects of cardioselective beta blockers on ventilation and gas exchange in patients with heart disease during ramp treadmill testing. Am J Cardiol. 1997 Nov 1;80(9):1215-6. PubMed PMID: 9359554. 26: Ettinger WH Jr, Burns R, Messier SP, Applegate W, Rejeski WJ, Morgan T, Shumaker S, Berry MJ, O'Toole M, Monu J, Craven T. A randomized trial comparing aerobic exercise and resistance exercise with a health education program in older adults with knee osteoarthritis. The Fitness Arthritis and Seniors Trial (FAST). JAMA. 1997 Jan 1;277(1):25-31. PubMed PMID: 8980206. 27: Berry MJ, Brubaker PH, O'Toole ML, Rejeski WJ, Soberman J, Ribisl PM, Miller HS, Afable RF, Applegate W, Ettinger WH. Estimation of VO2 in older individuals with osteoarthritis of the knee and cardiovascular disease. Med Sci Sports Exerc. 1996 Jul;28(7):808-14. PubMed PMID: 8832533. 28: Berry MJ, Adair NE, Sevensky KS, Quinby A, Lever HM. Inspiratory muscle training and whole-body reconditioning in chronic obstructive pulmonary disease. Am J Respir Crit Care Med. 1996 Jun;153(6 Pt 1):1812-6. PubMed PMID: 8665039. 29: Berry MJ, Dunn CJ, Pittman CL, Kerr WC, Adair NE. Increased ventilation in runners during running as compared to walking at similar metabolic rates. Eur J Appl Physiol Occup Physiol. 1996;73(3-4):245-50. PubMed PMID: 8781853. 30: Berry MJ, Pollock WE, van Nieuwenhuizen K, Brubaker PH. A comparison between aero and standard racing handlebars during prolonged exercise. Int J Sports Med. 1994 Jan;15(1):16-20. PubMed PMID: 8163320. 31: Berry MJ, Storsteen JA, Woodard CM. Effects of body mass on exercise efficiency and VO2 during steady-state cycling. Med Sci Sports Exerc. 1993 Sep;25(9):1031-7. PubMed PMID: 8231771. 32: Berry MJ, Zehnder TJ, Berry CB, Davis SE, Anderson SK. Cardiovascular responses in black and white males during exercise. J Appl Physiol (1985). 1993 Feb;74(2):755-60. PubMed PMID: 8458792. 33: Brubaker PH, Berry MJ, Brozena SC, Morley DL, Walter JD, Paolone AM, Bove AA. Relationship of lactate and ventilatory thresholds in cardiac transplant patients. Med Sci Sports Exerc. 1993 Feb;25(2):191-6. PubMed PMID: 8450720. 34: Berry MJ, Cline CC, Berry CB, Davis M. A comparison between two forms of aerobic dance and treadmill running. Med Sci Sports Exerc. 1992 Aug;24(8):946-51. PubMed PMID: 1406182. 35: Berry MJ, Stoneman JV, Weyrich AS, Burney B. Dissociation of the ventilatory and lactate thresholds following caffeine ingestion. Med Sci Sports Exerc. 1991 Apr;23(4):463-9. PubMed PMID: 2056905. 36: Berry MJ, Bailey SP, Simpkins LS, TeWinkle JA. The effects of elastic tights on the post-exercise response. Can J Sport Sci. 1990 Dec;15(4):244-8. PubMed PMID: 2272006.
exercise in the water. Med Sci Sports Exerc. 1990 Jun;22(3):298-303. Review. PubMed PMID: 2143248. 38: Katz VL, McMurray R, Berry MJ, Cefalo RC, Bowman C. Renal responses to immersion and exercise in pregnancy. Am J Perinatol. 1990 Apr;7(2):118-21. PubMed PMID: 2331272. 39: Katz VL, McMurray R, Turnbull CD, Berry M, Bowman C, Cefalo RC. The effects of immersion and exercise on prolactin during pregnancy. Eur J Appl Physiol Occup Physiol. 1990;60(3):191-3. PubMed PMID: 2347321. 40: McMurray RG, Berry MJ, Katz VL, Graetzer DG, Cefalo RC. The thermoregulation of pregnant women during aerobic exercise in the water: a longitudinal approach. Eur J Appl Physiol Occup Physiol. 1990;61(1-2):119- 23. PubMed PMID: 2127018. 41: Berry MJ, Puntenney PJ, Sandt LA. Ventilatory responses during varied stride and pedal frequencies. Respir Physiol. 1989 Nov;78(2):219-28. PubMed PMID: 2609029. 42: Berry MJ, McMurray RG, Katz VL. Pulmonary and ventilatory responses to pregnancy, immersion, and exercise. J Appl Physiol (1985). 1989 Feb;66(2):857-62. PubMed PMID: 2708215. 43: Berry MJ, Weyrich AS, Robergs RA, Krause KM, Ingalls CP. Ratings of perceived exertion in individuals with varying fitness levels during walking and running. Eur J Appl Physiol Occup Physiol.1989;58(5):494-9. PubMed PMID: 2759076. 44: McMurray RG, Katz VL, Berry MJ, Cefalo RC. Cardiovascular responses of pregnant women during aerobic exercise in water: a longitudinal study. Int J Sports Med. 1988 Dec;9(6):443-7. PubMed PMID: 3253236. 45: Berry MJ, Robergs RA, Weyrich AS, Puntenney PJ. Ventilatory responses of trained and untrained subjects during running and walking. Int J Sports Med. 1988 Oct;9(5):325-9. PubMed PMID: 3246467. 46: Katz VL, McMurray R, Berry MJ, Cefalo RC. Fetal and uterine responses to immersion and exercise. Obstet Gynecol. 1988 Aug;72(2):225-30. PubMed PMID: 2455879. 47: McMurray RG, Katz VL, Berry MJ, Cefalo RC. The effect of pregnancy on metabolic responses during rest, immersion, and aerobic exercise in the water. Am J Obstet Gynecol. 1988 Mar;158(3 Pt 1):481-6. PubMed PMID: 3348307. 48: McMurray RG, Fafrowicz JF, Berry M. The endorphin response of women to sleep loss and exercise. Aviat Space Environ Med. 1988 Feb;59(2):129-32. PubMed PMID: 2964231. 49: Berry MJ, McMurray RG. Effects of graduated compression stockings on blood lactate following an exhaustive bout of exercise. Am J Phys Med. 1987 Jun;66(3):121-32. PubMed PMID: 3605315. 50: Moritani T, Berry MJ, Bacharach DW, Nakamura E. Gas exchange parameters, muscle blood flow and electromechanical properties of the plantar flexors. Eur J Appl Physiol Occup Physiol.1987;56(1):30-7. PubMed PMID: 3830139. 51: Fisher SM, McMurray RG, Berry M, Mar MH, Forsythe WA. Influence of caffeine on exercise performance in habitual caffeine users. Int J Sports Med. 1986 Oct;7(5):276-80. PubMed PMID: 3793337. 52: Berry MJ, Bacharach DW, Moritani T. Stride frequency and ventilation at constant carbon dioxide output. Br J Sports Med. 1985 Dec;19(4):210-3. PubMed PMID: 3937560; PubMed Central PMCID: PMC1478403. 53: Berry M, Moritani T. The effects of various training intensities on the kinetics of oxygen consumption. J Sports Med Phys Fitness. 1985 Sep;25(3):77-83. PubMed PMID: 4068684.